Mastering the lead guitar isn’t that complicated once you break it down into its essential components – and the Pentatonic Scale is definitely one of the most crucial elements in the whole picture. This is pretty much the most commonly used guitar scale to date, and many professional players have used it for many years to play some of the most memorable pieces we all know and love. 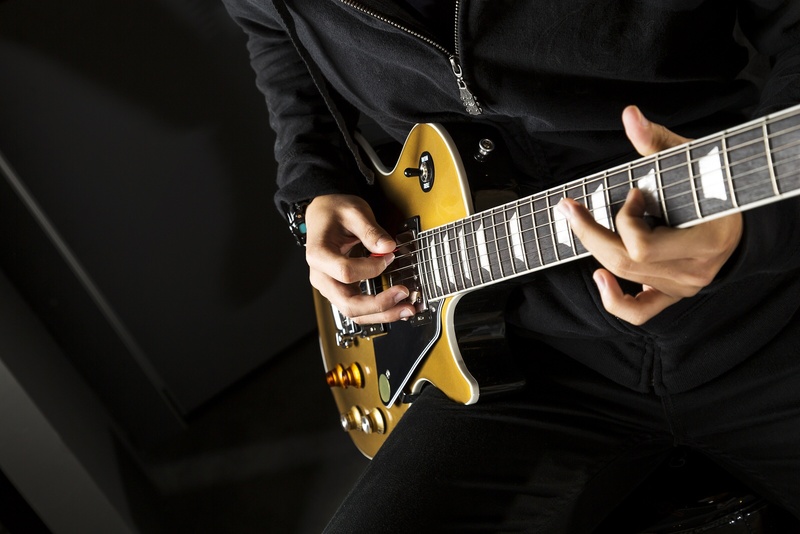 The pentatonic scale is perfect for various reasons – plus it simply sounds just awesome. You can play any style with it, from blues to funk, rock and jazz, without any issues, and this scale is pretty much the most useful scale you’ll ever get to learn. It’s relatively simple, isn’t complicated to use, and it will definitely give you long-term happiness with your guitar playing. Sure, it’s important to learn a few other things to, like arpeggios and other scales – but using the pentatonic scale as a basis for your playing should work just great for you. Also, don’t forget to learn the notes that you can bend, as this will add quite a lot of depth to the scale. The pentatonic scale is really easy to play, since the notes are pre-organized into boxes which fit really well under the hands/fingers. You must ensure that you’re familiar with all the shapes, so that you can easily move freely between them – but also take care with falling into the common trap of trying to learn all of them before you’ve learned how to use at least 1-2 shapes. Something else that makes the minor pentatonic scale so great is that it’s rather difficult to get it wrong – as soon as you learn to use it correctly, it’s easily possible to make every note sound good, just like you need it. As long as you keep in mind the positions of all the notes and how to bend, you should be all set – this is something that many players neglect, so make sure you learn it properly and you’ll be rocking like crazy in no time. Last but not least, we should note that this scale has a really wide, open sound to it – it only has five notes but it sounds a lot more open than 7-note scales (which tend to have a denser sound). You should learn some classic guitar riffs, and ensure you get them right before you move on.